Whether you need a minor upgrade to fix a violation or a complete new installation on a new or existing facility, Eagle Environmental Consultants has the team to complete your project on time and under budget. Dedicated to superior customer service that includes walking the customer throughout the entire process and explaining any changes no matter how insignificant. Our goal is 100% satisfaction to our clients and commitment second to none in the industry. Our clients are our best form of advertisement and vital to our success. 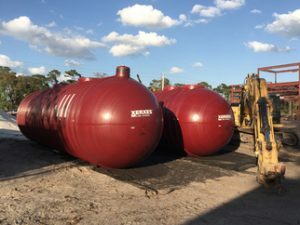 From small used oil tanks to 20,0000 gallon fuel tanks, we have you covered. Our customers include transportation companies, construction companies, local governments and gas stations. Our team of construction professionals has a firm grasp of all the new regulations and how they will effect the operation of your fuel storage business. In Illinois, the Office of the State Fire Marshal oversees the regulations of USTs. Regulations are constantly changing and keeping up with those changes can be difficult for owners and operators of fuel tanks. For questions about tank installs and how we can help please contact us at 630-346-5551 or fill out the form below.